Best Of Oregon City, Movers and Shakers Jr. award! what we do at team 2550. 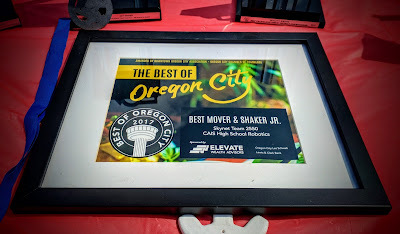 Thank you to all team members and parents for helping our team display perfessionalism that is not only recognized by people within the realm of robotics, but our community as a whole.